Size: 568 sq.ft. - 886 sq.ft. Godrej Codename 24 is housing multiple high-rise to mid-rise towers of 2 BHK & 3 BHK at Hinjewadi, Pune far away from the city crowd. It was launched in April 2017, from the last decades and a half Pune city has played very important role for upbringing the development proposals by Godrej Properties, Naiknavare Developers and Kolte Patil Developers. The project is registered under RERA - P52100001005 and placed onto 8 Acres of area.Today's residential projects are not only judged by the size and price of the apartments but also by the availability of amenities and facilities to cheer up the residents. This 8 Acres complex brings you 12 buildings nestled between the lush green spaces. Godrej Properties have designed a home to suit every type of buyer of Godrej Codename 24 complex. By September 2021 the possession is being expected. The floor plan of Godrej Codename 24 is presented in a unique manner. The 2 Bed apartments have options of Large and XL units and another option of 3 BHK units are there. If you are seeking for a classy lifestyle at the heart of the Pune city near business centres then Hinjewadi Godrej 24 is a great deal without any hesitance. The apartments of Godrej 24 are ranging between 79 lakhs to 90 Lakhs and more than 800 Units will be available. These spacious apartments has a designer kitchen with piped gas line, Standard sized kitchen with high quality fittings & fixtures, wide balconies and large floor to ceiling sliding windows in each apartments to reach you natural sunlight and fresh air. The tall buildings to mid-rise buildings provide you smartly done interior and exterior work. One of the most reliable brands of India Real Estate sector – Godrej Properties. Godrej Properties was incepted in 1990 with the vision of creating residential properties, commercial properties and more. Over 65 landmarks are built up by the company with 40 under construction properties. The company is being led by Adi Godrej – The Chairman, Mohit Malhotra – Managing Director & Chief Executive Officer and Pirojsha Godrej – Executive Chairman. 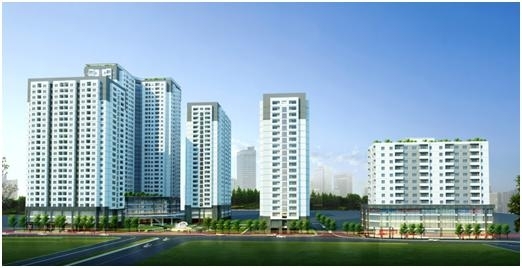 The group has been accredited over 200 Awards and they are in 2015 for Real Estate Company of The Year, Most Reliable Builder of 2014, Innovation Leader in Real Estate of 2014, Golden Peacock Award for Sustainability in 2015, Popular Choice Developer of the Year in 2013 and more as such. Godrej Properties is a dynamic company with a team of talented workers work with world famous Architects, Associates and Project Management Consultants. A new launch Godrej 24 comes with various advantages from location to project specifications to amenities to neighbourhood infrastructural developments in the area. Hinjewadi, Pune is highly attractive as it has witnessed a lot of demand for Serviced apartments, Five Star Hotelsand private residential projects due to the demand of migrating IT population as Hinjewadi Pune is known for its Corporates. Pune city consists of more than 200 IT and ITeS firms. Soon the PCMC to start work of developing Outer Ring Road in the city to avoid crowd and traffic congestion and there is a proposal to bring metro line which will connect Hinjewadi and Shivajinagar destination. Godrej 24 is an ongoing project at Phase 1 lies next to Wipro, Rajiv Gandhi Infotech Park at Hinjewadi, Pune Maharashtra – 411057. Godrej 24 will offer you 24X7 access to the amenities which includes - guest house with anytime check-in, lotus court, indoor games, Laundromat, library, inverter, ambulance on standby with paramedics, Separate sit out place for Senior citizens & Youngsters, Landscaped walkway, Gym, Digital gaming zone, geyser in common bath, Swimming pool, Herb Yard, Zen garden, Outdoor cafeteria for residents, CCTV monitoring, cricket practice pitch with bowling machine, quick service restaurant, pool lounge, rock climbing wall, pipe gas line, basic modular kitchen, biometric access, workstations with high-speed internet, lawn with sit-outs and multi-activities, Medical Store, Clinic, mini theatre, video door phone and many essential facilities. Schools: - Akshara International School & Blue Ridge Public School. Restaurants: - Barbeque Nation, Hyatt Place& Spice Nation. Park/Garden(s): - Sargen Garden, Hinjewadi Park &Soundarya Garden. Supermarket/Shopping Mall(s): - D-Mart, Xion Mall, White Square & ESquare. Hospitals: - City Care Hospital &Mulshi Millennium Hospital. Bank/ATM(s): - Bank of Maharashtra, HDFC Bank& ICIC Bank ATM. Railway Stations: - Akurdi Station, Pimpri Station &Chinchwad Station. 502 sq.ft. - 1702 sq.ft. 568 sq.ft. - 886 sq.ft. 305 sq.ft. - 586 sq.ft.